This all-in-one complexion enhancer contains 6 potent peptides to reduce the appearance of wrinkles, uneven skin tone, and dullness. Features 4 concentrated moisturizing agents to replenish dry skin, and the most stable form of Vitamin C (Magnesium Ascorbyl Phosphate) for naturally glowing, healthy skin. This concentrated moisture complex absorbs 1000 times its own weight in moisture from the air to deliver intense hydration, smooth fine lines and wrinkles, and calm and soften the skin for a youthfully radiant appearance. This proprietary complex helps promote cell regeneration and collagen synthesis to firm, lift, and energize aging skin. Accelerates the healing process, improves circulation, and a restores healthy, youthful texture to skin. 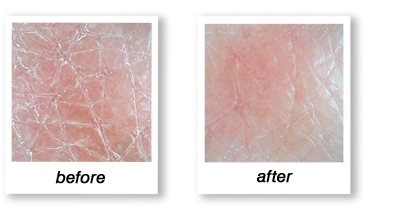 Accelerates recovery speed when used before and after micro-peel and laser procedures. Features powerful ceramides, a superior form of Vitamin E, and 13 exotic oils including argan oil and kukui nut oil to soothe skin, minimize inflammation, and restore suppleness and resiliency. Helps repair skin damage caused by environmental aggressors. This 0.5% retinol concentrated serum resurfaces skin to minimize the appearance of fine lines and wrinkles, brighten dull skin, fade sun-induced age spots, and improve rough texture. The peptide-infused formula and revolutionary Tri-Cosmetic Delivery System help boost collagen and elastin production for a fresh, glowing, and age-defying complexion. This concentrated, creamy serum features 4 peptides and marine algae extracts to dramatically lift and tighten sagging facial contours while smoothing out expression lines and wrinkles. Nourishing ceramides help hydrate, extend moisture, and restore skin resiliency. This powerful skin-lightening serum contains 8 advanced brightening agents to minimize the appearance of dark spots and hyperpigmentation, improve uneven skin tone, and visibly brighten dull, lackluster skin. Continued use will dramatically boost radiance and restore vitality for a luminous, youthful appearance. A High performance anti-wrinkle treatment that smoothes fine lines and improves skin elasticity. It transport concentrated moisture to the deeper levels of the skin. Provide improvement in the appearance of the skin as it firms and lifts while diminishing the lines and sign of aging by restoring the dermal matrix.